These celebrities have been seen or called Womanizers, Heartbreakers or playboys by different women at different times in the media. For sure, the women maybe the ones going after these guys since they are celebrities and when they (guys) decide to move on they (women) would start screaming that they’ve been used and dumped by these celebrities. Topping the list is the one and only Koko master. Dbanj is a lady’s man and has the charms to get the babes. Dbanj has dated lots of known and unknown damsels. 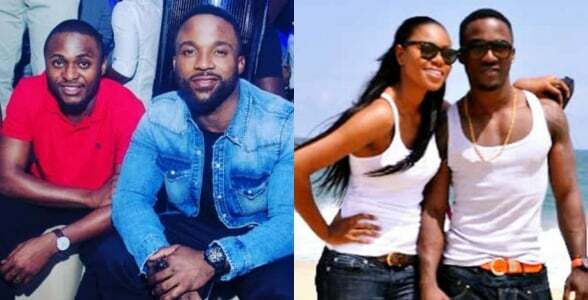 The one that gave him the “Womanizer” tag was his crumbled relationship with a billionaire’s daughter, Jennifer Obayuwana, who claimed to have left D’banj because he’s a Womanizer. May our lives be sweeter..`n’ holier..
Is only lazy people take dis to be like enjoyment to them. U can still enjoy More, wen u ve ur own moneyoooooooooooooooooooo.relax. This is normal. Let them be. Is part of life. They have both been rewarded heavily from their shoddy games. One with twin girls and the other with bouncy baby boy. Nothing to lose! We are producing it now in Nigeria not abroad again so go for it, REMEMBER not for the poor people but only for the rich. oh no!…didn’t expect dat from my best nija artist…….nt kool tho! My boys do ur work as far ur not forcing them. 99%of nijia people both men and women cheats,so it’s not a new thing in this country. It’s normal abeg. Do we need d education?